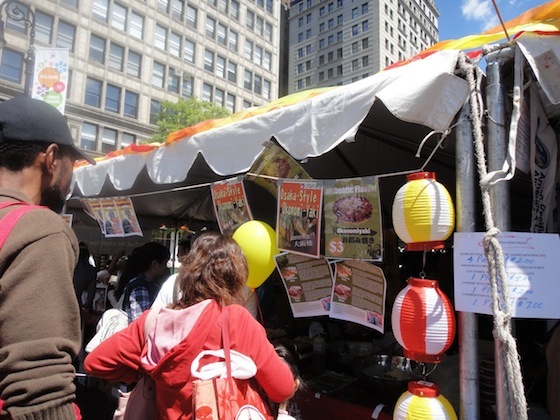 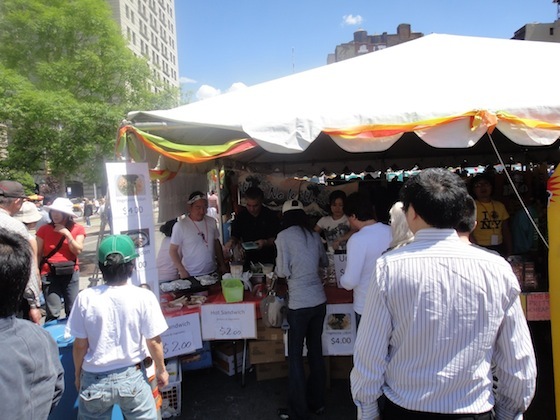 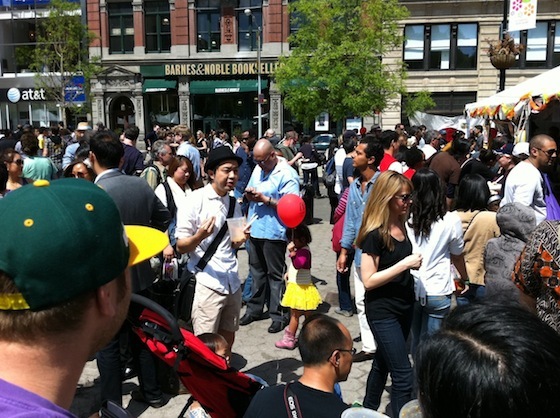 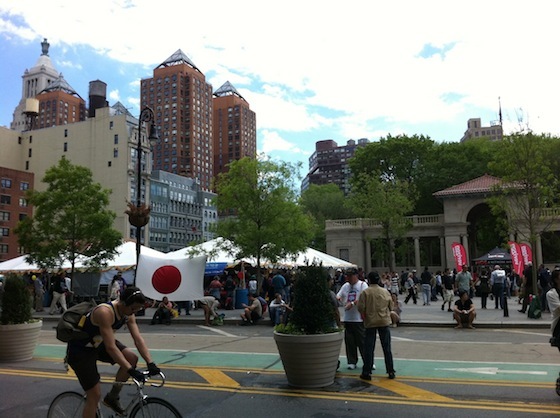 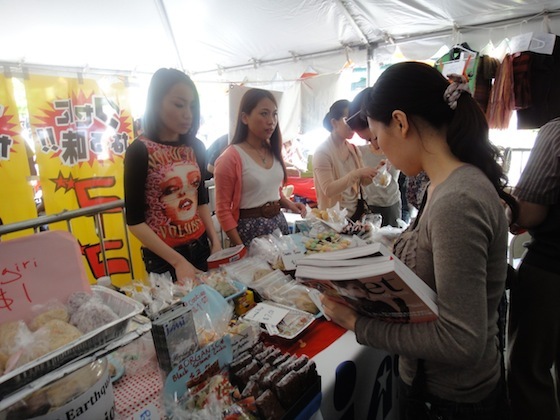 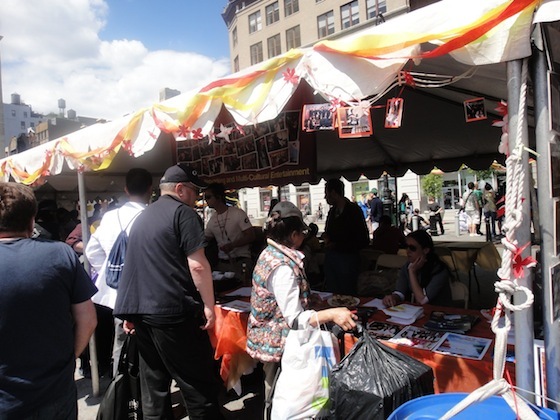 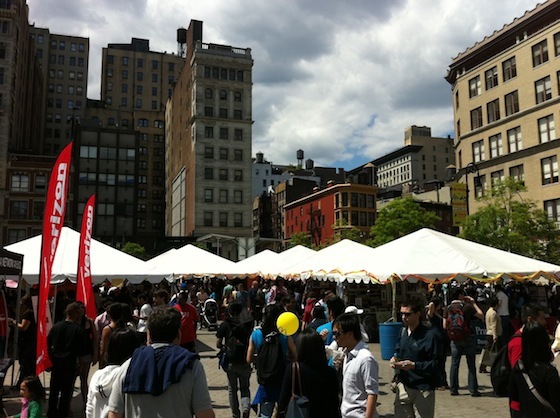 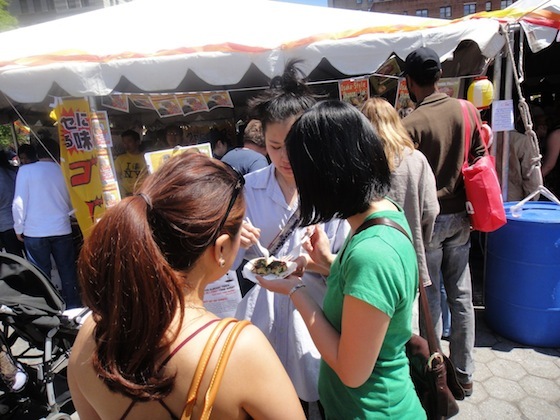 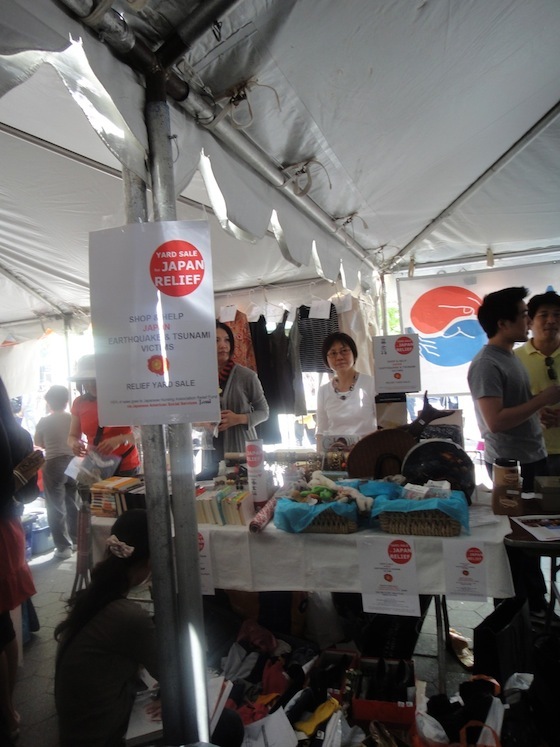 May is American-Pacific American Heritage Month, and to celebrate, I attended the 32nd Asian American & Pacific Islander Heritage Festival at Union Square on Mother’s Day. 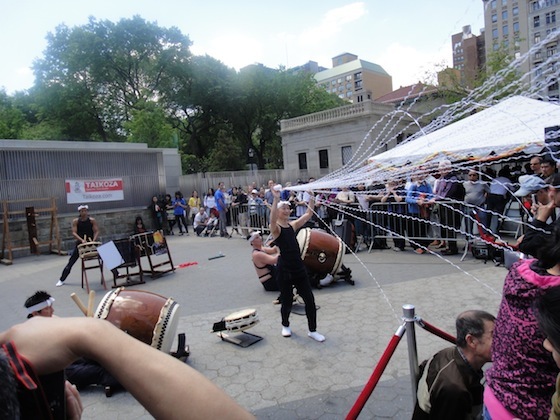 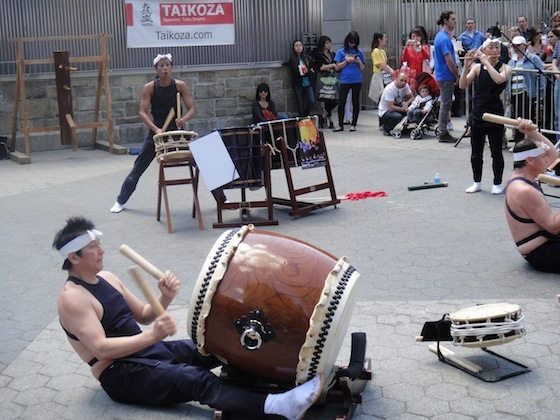 It was organized in New York by the Coalition of Asian Pacific Americans (CAPA), who amassed an eclectic representation of the many Asian cultures found in the city. 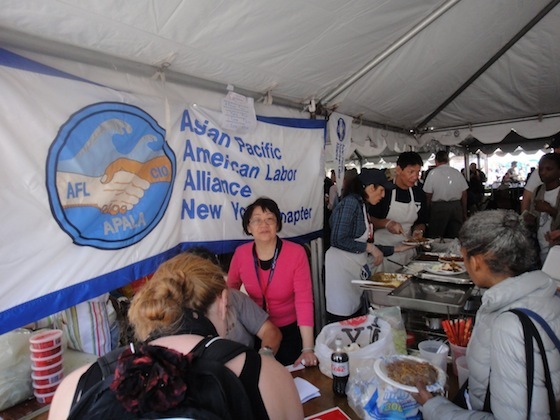 The theme of the day focused on the journeys our ancestors took from all corners of Asia and the Pacific to have successful lives in America. 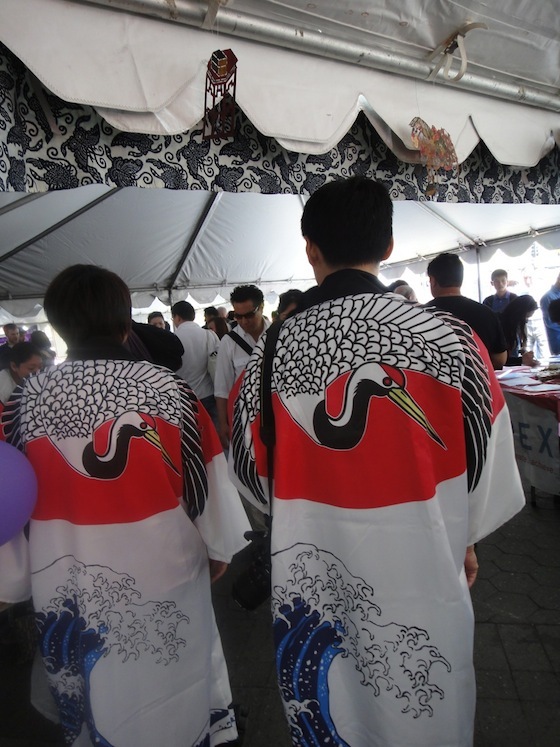 They became Americans, but they never let go of the rich cultural traditions of their native lands. 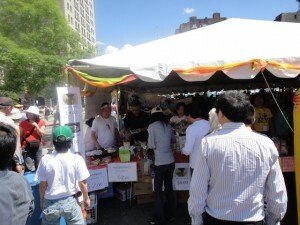 Of course, a huge attraction at any festival is food, and there was no shortage of that here. Here is a line for okonomiyaki, a popular Japanese comfort food. 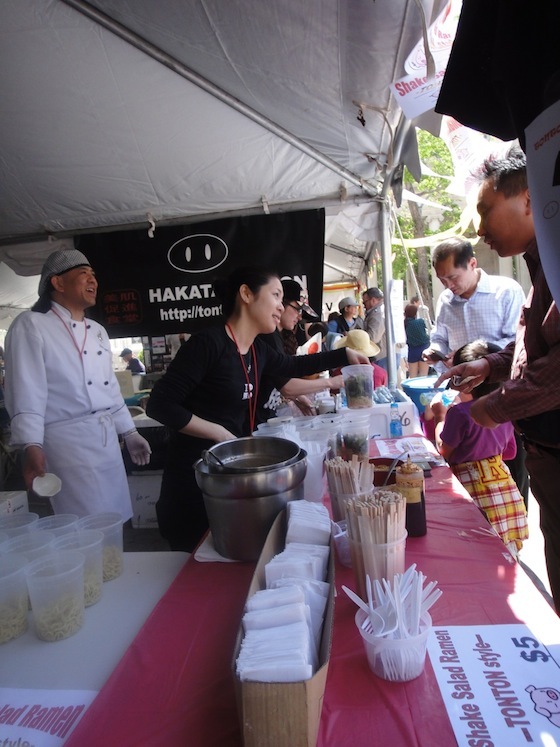 It’s usually described as a Japanese pizza or savory pancake. 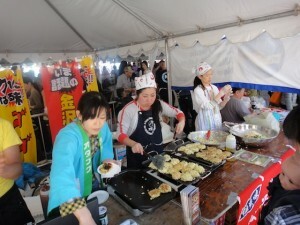 The style of okonomiyaki being cooked here is from Hiroshima and contains soba noodles. Umi no Ie, a restaurant in the East Village, sold food as well. 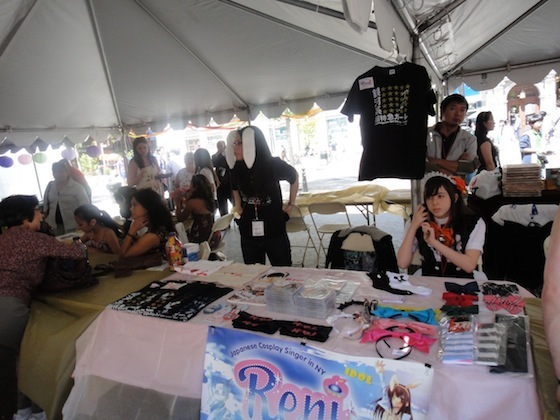 I joined all three groups within days of the festival, and I look forward to contributing to each.